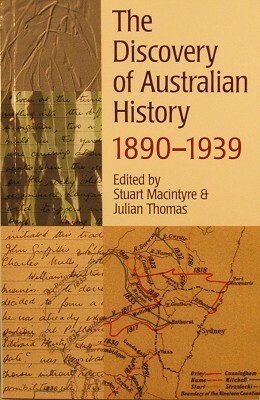 In Macintyre and Thomas’ book The Discovery of Australian History 1890-1939, two chapters are devoted to Kathleen Fitzpatrick and Jessie Webb– both from the University of Melbourne. As the editors point out, there were no women appointed to chairs of history between the years 1890-1939 or indeed, until much later. I’ve just been flicking through the ADB to see if there were others they could have included and women historians are certainly thin on the ground, despite the fact that women made up a large proportion of history honours students. I recently heard a pod-cast about Jessie Webb, (picture here) presented by Ron Ridley at the Royal Historical Society of Victoria in May 2009. You can download his talk here (lots of other good podcasts here too). Ridley wrote the book Jessie Webb: A Memoir in 1994. Such a long career, with so much experience in teaching history- senior lecturer, acting professor- but as was common at the time, not really in the running for a chair in her own right. As for Kathleen Fitzpatrick, (picture here) I read her book Solid Bluestone Foundations about eight years ago, before I returned to university. I wish I had time to re-read it: at the time I enjoyed it mainly as a memoir of 1920s upper/upper middle class, privileged Melbourne. The granddaughter of the J.P. Buxton real-estate founder, and the daughter of a Catholic/Protestant marriage, she always felt under-educated (despite attending Melbourne’s best girls’ school at the time) and certainly Oxford sneered at her colonial degree. I haven’t read her work on Sir John Franklin (as it happens, I’m reading a book about Lady Jane Franklin at the moment just for fun), and she didn’t ever publish her work on Charles La Trobe which I certainly would have read, had it been. Susan Davies, who wrote the chapter on her in The Discovery of Australian History, suggests that perhaps she abandoned her La Trobe biography because Alan Gross had entered the field with a competing biography, although she may well have decided not to continue before this. In fact, she seems to have doubted her own ability throughout her career, in a way that does not seem apparent in the other male biographies in Macintyre and Thomas’ book. Here she is, writing to Max Crawford in 1951, after the reviews of her book on Franklin began to appear in the Australian and English journals and newspapers. So very human and symptomatic, I suspect, of a male-dominated intellectual environment where women’s achievements were easily overlooked. Susan Davies ‘Kathleen Fitzpatrick: Sculptor with Words’ in S. Macintyre and J. Thomas The Discovery of Australian History 1890-1939, Carlton South, Victoria, Melbourne University Press 1995. Susan Janson ‘Jessie Webb and the Predicament of the Female Historian’ in S. Macintyre and J. Thomas The Discovery of Australian History 1890-1939, Carlton South, Victoria, Melbourne University Press 1995. 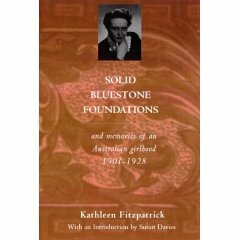 Jayne’s review of Solid Bluestone Foundations here. I borrowed this book from the library primarily for its chapter on S.H. Roberts, the author of “The Squatting Age in Australia 1835-1847”. Despite my intention to read only that chapter, comments on my post about that book and discussion here and here regarding what we would now call “political correctness” and historians led me to read the whole book. I certainly do not profess any great knowledge here at all: I have read only this one book and a couple of other bits and pieces. My gut-feeling was that the question of political correctness was anachronistic( i.e. relating a phenomenon to the wrong time), and having read this book, I found nothing to disconfirm that view. The book, edited by Stuart Macintyre and Julian Thomas (both of whom contributed a chapter) is a series of biographical sketches of key figures of the first and second generations of academic historians. The focus is not so much on biography, but on the “profession and discipline” of history, both personally and as a field of intellectual endeavour. Because of its time-span, the “sandstone” universities only are represented: George Arnold Wood and Stephen Roberts at Sydney; A.V.C. Melbourne at Queensland; G. C. Henderson and Keith Hancock at the University of Adelaide; Edward Shann at the University of Western Australia; Ernest Scott, Jessie Webb, Kathleen Fitzpatrick and Max Crawford at the University of Melbourne.. It is sobering to remember that until the 1890s, there were only three universities- Sydney, Melbourne and Adelaide. At the University of Sydney prior to Wood’s appointment, history was included under the umbrella of natural history, or part of the classics. The University of Adelaide offered a chair of modern history and English language and literature. History had long been taught at the University of Melbourne, closely associated with political economy, law and the classics but the early holders of the chair were not recognizable as academic, research-based historians. For many decades, there would only be the one professor at the single university in each state, with one or possibly two assistants and he – always ‘he’- would lecture across all history subjects presented. (A post on the women in this book will have to wait for another day). The selection of any one professor was often not in the hands of the university at all- the University of Melbourne for example, delegated an English selection committee, based in England, to make the appointment. Universities resisted what they perceived as government interference: at Melbourne, the chair had included history and political economy, but the second field was dropped in expectation of State government funding for a separate chair of economics or political science. This funding did not eventuate because the university would not agree to the government’s stipulation that the new post be filled by one ‘whose views and training accord with Australian traditions and conceptions of economic matters’. (p. 72). In their selection practices, and the talent pool to which they looked, Australian universities were integrated into an Imperial network. Without exception, these academics gained their post-graduate qualifications in England- predominantly at Oxford, with one or two in London. The path was not an easy one. The times and the institutions were conservative, resistant to change and new direction. Institutional conservatism is clearly apparent but political conservatism less so. Certainly many of these historians had deep-seated political beliefs (Shann, for example was a Fabian; several of them embraced Liberalism) and publicly participated in the elite and intellectual milieu of their societies. The chapters in this book do not pay much attention to the content of the histories produced by these historians, but there seems to be no suggestion that they tempered the narrative of the histories they wrote for the political government of the day. 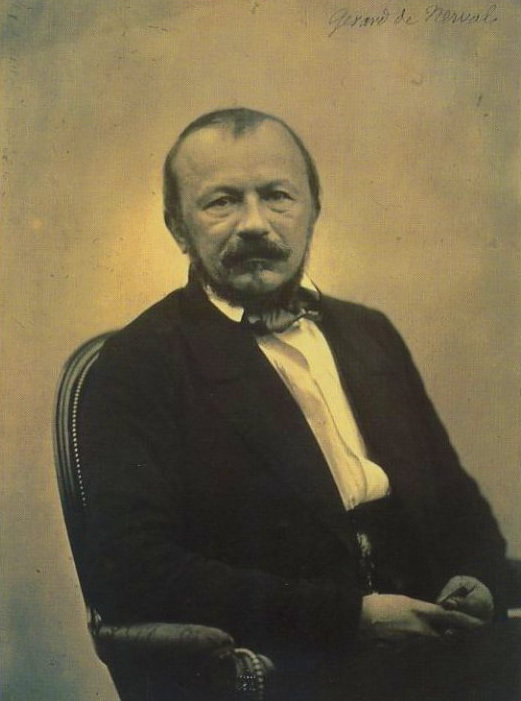 The history discipline itself, across the world, underwent a huge change during these years as it shifted away from an antiquarian and chronicling emphasis to adopt von Ranke’s emphasis on primary sources. Here there was fertile ground. It was these historians who were involved, with others, in the compilation of the grunt-work of Australian historiography- the Australian Dictionary of Biography (Keith Hancock) and supporting, the compilation of Historical Records of Australia (Wood and Henderson, among others; Scott was involved in writing a rather critical report on the project). It’s hard now to imagine that these sources were ever not available, but Henderson wrangled for five years with the Secretary of State for the Colonies, with the support of successive South Australian governors, over access to government dispatches, enclosures and reports relating to South Australia. The Secretary of State refused to give general access to records beyond 1837, although was willing to consider special cases for records up to 1860 and perhaps beyond (p. 39). When you look at the index, there is reference throughout the book to the Australian and New Zealand Association for the Advancement of Science, the major professional body to which these academic historians belonged. I felt as if there was a qualitative difference between the chapter on Max Crawford, and the other chapters- as if there was a fundamental shift that occurred at the end of the timeline of this book. The Cold War was no doubt largely responsible for this, as well as the ushering in of a more mass-oriented tertiary education system. I’ve just been looking, through Google Books, at the introduction and conclusion to Fay Anderson’s book “An historian’s life: Max Crawford and the politics of academic freedom” . In her conclusion, she observes that selection committees considered the political affiliations of candidates for academic posts from the 1930s (p. 372) and suggests that the study of self-censorship among historians would be a fruitful area for research. Certainly, I felt in reading these essays that they described a different world, a different intellectual milieu. The huge expansion of university education in the post-war years brought a whole new environment with more students, a broader pool of historians vying for academic posts, a more defined set of local academic peers, and less integration with the imperial academic network. All of this is much more familiar to us now, more conducive to intellectual jousts over the content of one’s history and I suspect, more responsive to party-political pressures than this earlier, elitist and empire-driven era. Want to spend hours and hours and hours fiddling round on a website? [ahem, as if I don’t already]. Well, you might want to check out Australia Post’s “Letters of a Nation” website. The project was part of Australia Post’s 200th anniversary. They invited contributors to send in letters held in their personal collections which were scanned, indexed and transcribed and are all there on the website. In fact I even had a little weep over the letters sent by the POW returning to Australia to his four year old son. 1935 first edition; 1964 second edition. 358 p.
This is Stephen H. Roberts talking about another book entirely, but the same could be said of his own book “The Squatting Age in Australia 1835-1847”. That’s it up above on the bookshelves- the rather drab burnt-sienna coloured one. It’s been around for decades and decades; it is cited in many other works, but oh- even the title induces in me a rather shrivelling distaste. 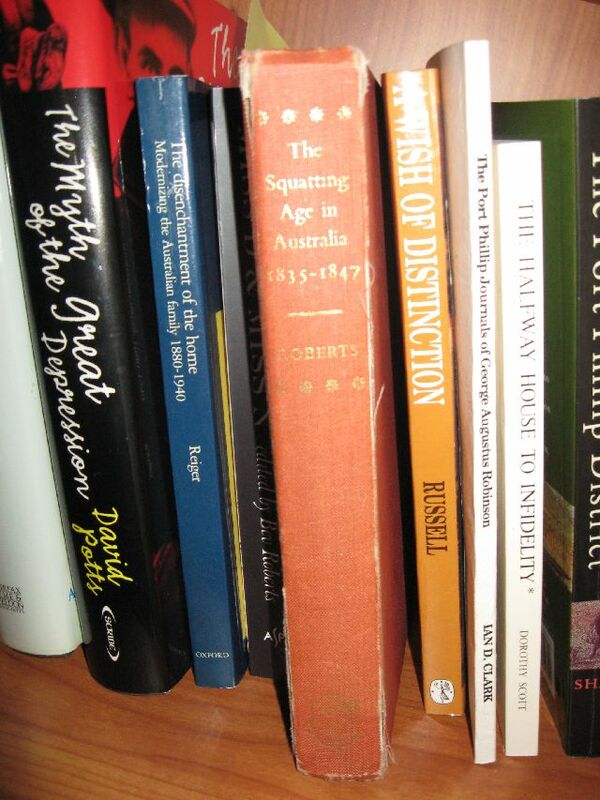 I was astounded to find a recent blogpost about the book written in November 2009 by another reader and smiled at the thought of possibly travelling on the same train and our eyes meeting (across the top of our bi-focals, I suspect) over our respective copies of ” The Squatting Age in Australia” (Nah, not likely, as he seems to be based in Armidale, NSW). Still, a whimsical little thought. I have to say that I was surprised by what I found inside. Perhaps the most striking thing is the language: not at all the dry-as-stubble, stiff and factual voice that I expected but instead a rather “purple” narrative voice written often tongue-in-cheek (or at least, I think it is) and more exclamation-marks than a Facebook page!!! Yes!!! Really!!! Stephen Henry Roberts– that’s Sir Stephen was Vice Chancellor of the University of Sydney and Challis Professor of History there. His Australian Dictionary of Biography entry describes him as “empirical, research oriented, with a concern for international trends and an ability to place Australia in a wider colonial context“. The empiricism in his work certainly comes through: there’s very detailed maps, budgets and statistics peppered throughout the book. His first publication was History of Australian Land Settlement 1788-1920, based on his masters thesis, and after moving to London, he moved to more international studies with publications on French colonial policy, modern British and European history and Far Eastern history before returning to Australian history with The Squatting Age written in 1935. In this book he brings his international approach to bear most powerfully in Chapter 2 ‘The Wool Trade’ which I found to be a fascinating account of how Australian wool production fed into the broader European wool industry that burgeoned and changed after the Napoleonic Wars. He also has a good analysis of the 1840s Depression in New South Wales and its context within the broader international economy. Born of working-class origins, Roberts did not restrict his intellectual efforts to academe alone. As a leading interational analyst, he gave public lectures, wrote for the Sydney Morning Herald and broadcast for the ABC. In 1936 he travelled again to England on study leave, spending three months in Germany where he met with Nazi leaders and attended their rallies. His next book The House that Hitler Built (1937) exposed the dangers of appeasement, warned of the war intentions of the Nazi regime and condemned the persecution of the Jews. The book was translated into a dozen languages and reprinted many times. This description surprised me. 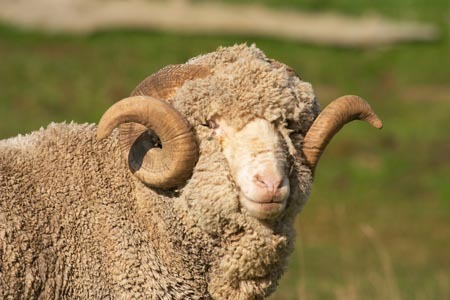 In this book he presents a highly romantic and idealized view of the pastoral industry and the squatting project as a whole, albeit with a rather more grounded view of the boredom and dirt of the shepherd’s lot. Like other books of its time it is interspersed with stanzas of poetry- a rather quaint stylistic touch to modern eyes. He places strong emphasis on personality and it is here, in explaining motivations and character, that perhaps his flights of fancy betray him. I found the sweeping statements to support his grand rhetorical flourishes even more troubling. There appears to me to be a contradiction in his large claims: he makes much of the “quietude” in politics in the early 1840s and yet spends much time on the Great Crisis between 1841-44, and the “struggle” with Sir George Gipps. Crisis and quietude seem to be mutually exclusive, to me. And yet there is a sense of humour that comes through the book- and that truly IS surprising given the worthy and rather stodgy subject manner. I’ll leave you with a little observation he makes about the dominance of pastoral demands on Gipps’ administration-, complete with Roberts’ own exclamation mark, and remember HE said it, not I!! It seems that after reading Curthoy and McGrath’s How to Write Histories that People Want to Read, I have picked up, one after the other, two books that would qualify- Nicholas Shakespeare’s In Tasmania and now this one, The Suspicions of Mr Whicher by Kate Summerscale. This book won the Samuel Johnson Prize for Non-Fiction in 2008, and also bears the designation “New York Times Bestseller” on the front cover. The book describes the true-life murder of a three year child in 1860, taken from his bed in the nursery outside the bedroom of his parents Samuel and Mary Kent, and found with his neck slashed and body wrapped in a blanket in the outside privy. The family that lived in this three-storey Georgian house was not a happy one. It was a second marriage for Samuel Kent; the older children of the first marriage had been relegated for the second family; the new Mrs Kent was not all she seemed at first. Suspicions mounted about the relationship between Mr Kent and the nursemaid who slept in the bed beside the murdered child, the sanity of the daughters of the house, the probity of the servants: the case opened the lid on the fug of family relationships amongst what otherwise appeared to be a respectable, prosperous middle class Victorian family. The book takes a careful chronological approach with only what I marked as one example of foreshadowing that suggested that the outcome was known to the narrator. Instead, events and evidence unfold bit by bit, complete with the false-starts and false-leads of any investigation, and the narrative closely follows the newspaper articles and legal documentation generated by such a notorious case. I hadn’t heard of the case at all but I assume, given that the murderer ended up depicted in Mdme Tussuad’s waxworks, that the case has more notoriety in England even today. For someone completely unfamiliar with it, I wasn’t sure right to the end- and even then….? But this is more than just a country-house murder story: instead it is a closely-grained and grounded study of domestic Victorian life and sexuality, the development of “the detective” as a profession and the relationship between the press and Victorian fiction. The detective, Mr Whicher, is a lower-class employee in a newly-developing profession, and class sensitivities emerge over what is perceived as his puerile probing of domestic relationships and middle-class respectability, and the derisive sneering of the popular periodical press. Summerscale embeds this true-crime story within a broader study of the detective-novel as a literary phenomenon, both at the time in the work of Wilkie Collins and Dickens, and later as a literary genre much loved of BBC Friday night dramas. The book is carefully footnoted and researched; there are maps and photographs, and an extensive bibliography. Its chronological structure makes you feel as if it is unfolding before your eyes and it’s quite a page-turner. And surely that qualifies it as “History That People Want to Read”.